There’s something gratifying about seeing a shabby “before” image side by side with a striking “after” shot. It just makes you say, “ahh.” A re-side project can make a huge statement and when it’s in a new color, it can feel like a completely new home. Besides the updated look, your home will benefit from the advantages that James Hardie® siding and trim provide, including: the ability to stand up to your local weather, withstand damage from moisture and rot, and resist UV fading which means your siding color will stay vibrant for longer with lower maintenance. When it comes to most popular choice for a siding hue, gray has been trending nationally and across the Midwest. But it’s not the only color in the James Hardie color palette. 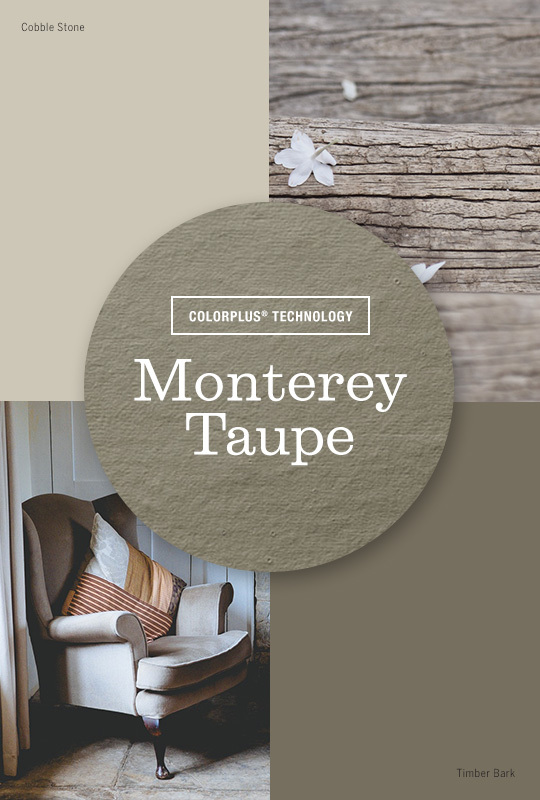 If you’re not a full blown gray lover, check out Monterey Taupe, it’s a grayish hue with a hint of brown, making it a striking neutral that’s understated, not in your face. This old home was in need of a re-side, for looks and durability. The “after” exterior is clad in HardiePlank® lap siding in Monterey Taupe with HardieTrim® boards in Arctic White. It not only looks fresh and pristine, it appears sturdier, more durable and ready to handle the Midwest’s drastically changing seasons. The re-side project left this home feeling more contemporary and clean. The home is clad in HardiePlank lap siding in Monterey Taupe with HardieTrim boards in Cobble Stone. The shutters were updated from a forest green to a deep black for a more sophisticated look. This beaten-up wood siding was made new again with strong HardiePlank lap siding in Monterey Taupe with Arctic White HardieTrim boards. Besides the clean appearance, this home’s new siding is Engineered for Climate®, meaning it can help resist damage caused by strong winds, freezing temperature and extreme humidity. Bye bye beaten-up boards.